The environmental impact of human activities has been massive, especially during the last years, and the results are devastating for the Earth and our surroundings. There are efforts from all sectors to increase environmental consciousness and be active in all the ways that count. Construction is one area that is striving to play its part in protecting nature through green homes. 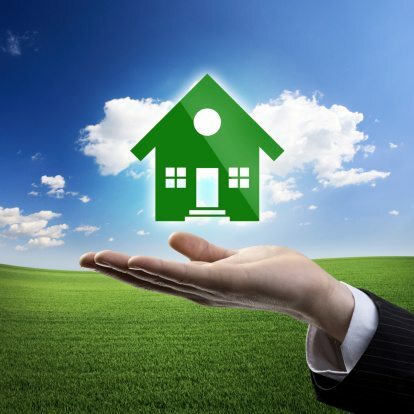 The building and running of a home have a significant impact on the surrounding, especially regarding energy consumption. 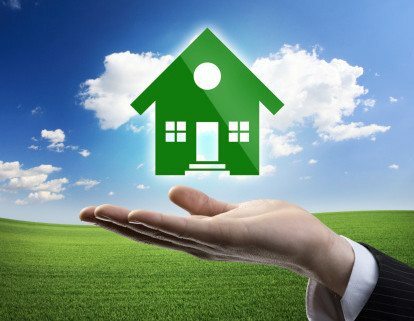 Green homes are supposed to reduce the level of energy use that a building needs to operate by using sustainable materials during construction. By utilizing the latest technologies, builders are looking to minimize costs and reduce the carbon footprint in the environment. Although still a young idea, there are a few homes in the U.S that set an example of what a sustainable building should be. Fougere Architecture designed a luxury house in the Big Sur coastline, California that comes with a copper facade to provide against seawater. The copper facade is expected to weather over time, causing the house to blend in the environment and it also reduces the effects of solar heating. The two-story home has a stylish design in addition to its highly energy efficient windows which are structured to open automatically, thereby reducing the need for air conditioning, which lowers power consumption. The project involves renovation of a 100-year row house by retrofitting it with sustainable technology to meet the Passive House Standard. This property has two solar thermal panels for hot water and PV panels to reduce the electricity consumed. There is also significant maximization of natural light where possible, and the lights are LED or fluorescent. Fabrica718, the architectural design firm responsible for the renovation claims that the overall energy use is 75% less than a regular home. The Arizona desert presents some challenges for home construction, but this building’s design takes advantage of the surroundings. The dome-shaped guesthouse complements the dry outdoors of the region. What makes it truly green is that the design is organic-based from the inside to the outside using sustainable materials in its construction and structure. The aluminum panels provide a permanent home and contribute to energy efficiency. This Florida home completed in 2011 was built by the Extreme Makeover; Home Edition team. The design is eco-friendly as solar panels provide the needed power. There is also a beautifully laid out landscape that freshens the air and offers power. Additionally, the property has its wind turbine, the cheapest form of clean energy. This contemporary home design is made possible through the use of alternative construction technologies. The walls of the house are made of rammed earth with straw bales for insulation. This insulation does not only retain heat but is extremely low cost. The interior siding, beams, and flooring are made of salvaged lumber while the kitchen countertops are constructed from recycled glass. There are PV panels to reduce the home’s dependence on the power grid, and the water is solar-heated. This home received the first Platinum certification of LEED for Homes in 2010, meaning that it is very resource-efficient. One way the home favors the environment is that its design responds to the surroundings. The location is on top of a hill, so the building aims to resonate with every angle as it navigates through every tree. It is also designed to maximize PV solar use for passive heating. In the dry lands of California lies a home that is constructed from recycled shipping containers, which is a design that has become very popular. Using Ecotech design, the repurposed containers are very affordable construction materials that are strong enough to last through harsh weather. The prop has large windows that let in a lot of natural light, thereby saving energy use. Over the years, repurposed containers have been viable shelter solutions in times of disasters. The suburban village located in upstate New York comprises of three diverse co-housing neighborhoods targeted towards a little ecological impact. With the environmentally-responsible designs and constructions, the community is steadily achieving that purpose. There is the use of alternative energy sources such as photovoltaics and solar panels. Homes in the villages have technologies for water collection and storage. The Idea House, which has its decks overlooking the San Francisco Bay, is constructed with green materials. From the reclaimed wood used in the wide-plank flooring to the salvaged materials in the fencing, the home reduces its environmental impact and energy consumption considerably. Another green home in the geodesic dome design, which is known to use 60% fewer materials than regular-shaped box homes. Dome shapes are also every efficient in conserving energy; hence, their growing popularity. The home also has excellent airflow, and natural cooling and heating. This dome home has triple pane tempered glass windows, which contribute to the massive energy savings. It also has 16 inches of insulation and radiant floor heating. The fireplace is located in the center of the home to provide heat for the entire place during winter. Another motivation for building green homes is the 179D tax deduction. This tax is designed to incentivize the building of sustainable, homes with minimal energy usage. The tax provision in the Internal Revenue Code was enacted under the Energy Policy Act (2005). The tax deductions allowed under the rules are up to $1.80 per sq ft. However, the energy savings must be 50% or more for a building to qualify for the deductions, which apply to commercial property. For owner-occupied and rental dwelling units, the 45L Tax Credit applies if the property meets certain energy savings standards. Understanding all the requirements of these two provisions can be challenging, and that is why at Walter Reid Strategies, we offer the assistance you need. We have engineers, commercial energy rates, specialty tax CPAs, and tax incentive advisors among other professionals to help with certification and maximization of tax incentives.